There’s no change to the SALT deduction, but a second tax reform bill introduced by the chairman of the House Ways and Means Committee has plenty of provisions that would help businesses. 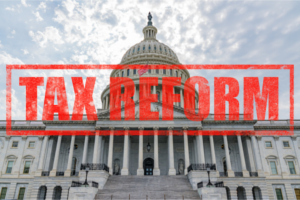 U.S. Rep. Kevin Brady, R-Texas, is sponsoring the measure in hopes of enacting technical changes and clarifications to the Tax Cuts and Jobs Act approved last December. His bill also would restructure the IRS in a way he says enjoys bipartisan support. Prospects for passage are iffy. Republicans will continue to enjoy a majority in the House until Jan. 3, and the bill is expected to pass there. In the Senate, however, the bill would need 60 votes to break the filibuster, and Republicans hold only 51 seats for the lame duck session. Nevertheless, here is a look a few key provisions. Prior to tax reform, retailers and restaurants that made capital improvements to their facilities could deduct 50 percent of the costs immediately and depreciate the other half over 15 years. Brady’s bill would ensure that these businesses receive the full deduction, called “100 percent bonus depreciation” in tax language. The Tax Cut and Jobs Act made a number of changes to the treatment of corporate earnings held overseas, and the law included a transition tax on existing revenues earned before the reforms were enacted. It allows companies to pay the transition tax over eight years. The IRS, however, said it would begin withholding tax refunds for companies that had transition tax liability, a move that does not sit well with manufacturers. The National Association of Manufacturers (NAM) said the move was counter to legislative intent to spread the liability of the transition tax over several years. Brady’s bill would reverse the policy so that tax refunds don’t have to be applied to the transition tax. The Biotechnology Innovation Organization is praising Brady’s proposal to create a safe harbor from certain limitations on net operating losses (NOLs) for startup companies: Specifically, the rules in Section 382 of the tax code, which are designed to prevent a company from acquiring failing companies to apply their losses its own unrelated income. As BIO explains, this rule can unintentionally punish startups. They create “an impediment for startups which depend on investment capital and often accumulate NOLs as a result of substantial R&D expenditures and rapid hiring. Under Section 382, accepting these critical equity investments can limit a startup’s ability to utilize its NOLs in the future,” the organization said.